A Food Allergy Family Travels from PA to One Dish Cuisine, here is what they said! This family traveled from PA so their son, with multiple food allergies, could dine at our restaurant. Here is her blog post with many photos about their experience! ODC Featured in Simply Gluten Free Magazine; in the Spring Issue (March/April 2015). – Balduccis, Barnes & Noble, Earth Fare, Earth Origins, Food Lion, Fresh Market, Hannaford, Kroger, Publix, Rite Aid, Safeway, Sprouts, Target, Wegman’s, Whole Foods and many more; see link below to find all locations. -See photo below for the cover, it is not available online yet, will update with link when available. Thank You to Karen Broussard (of the Gluten Free Travel Site) for writing such a thorough story about us and to Simply Gluten Free for sharing our story with those in search of safe gluten-free and allergen-free options! The Gluten Free Travel site is a great resource for you when trying to dine gluten free in the US or Abroad and has a great section about Gluten/Allergen Friendly Colleges. 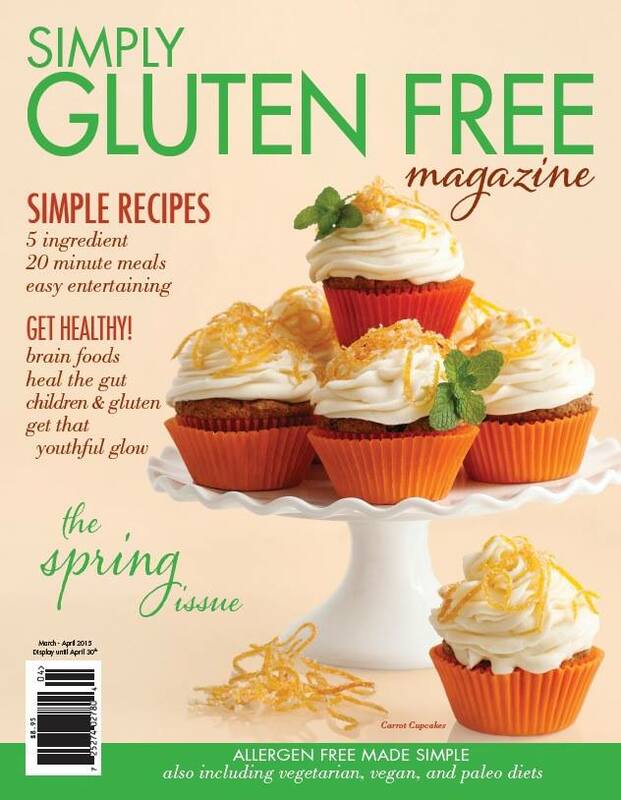 Simply Gluten Free Magazine is a great resource for those with Celiac Disease or Gluten Intolerance and food allergies.